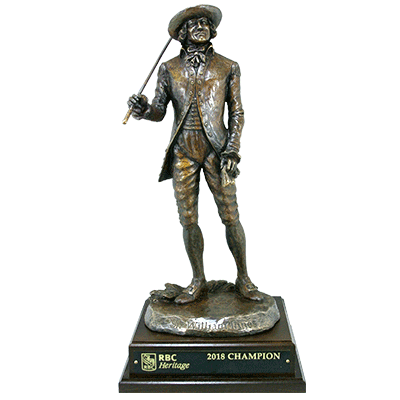 Heritage Classic Foundation contracted with Malcolm DeMille to update and redesign the iconic “Sir William Innes” Champions Trophy for the RBC Heritage Classic. 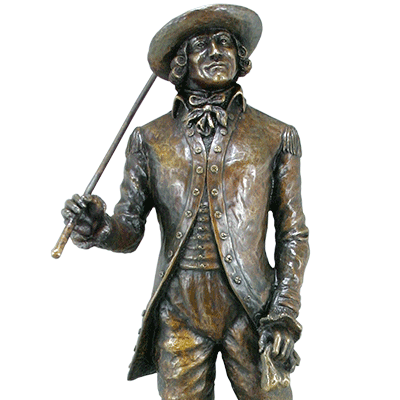 The 16” tall polished bronze sculpture is highlighted with a bronze patina and mounted to a walnut base with engraved nameplate. We also designed and made 8” tall miniature versions of the Champions Trophy for the Pro-Am winners.